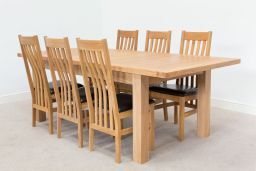 Note: The video shows a smaller 200cm version of this table. 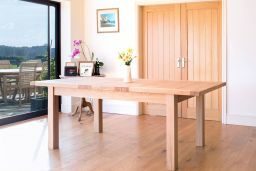 One of our long term best selling European oak tables. 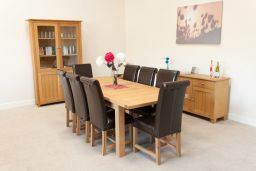 The ideal size for seating up to 8 people. 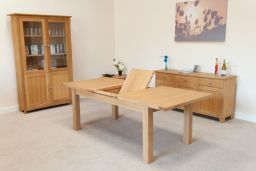 The Tallinn table design is made exclusively for us in Lithuania to European standards. 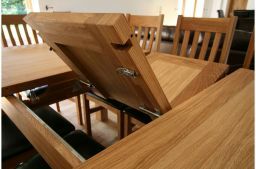 A premium quality dinner table with European made metal runners and ball bearings that allow it to be opened and closed by one person effortlessly within just a few seconds. 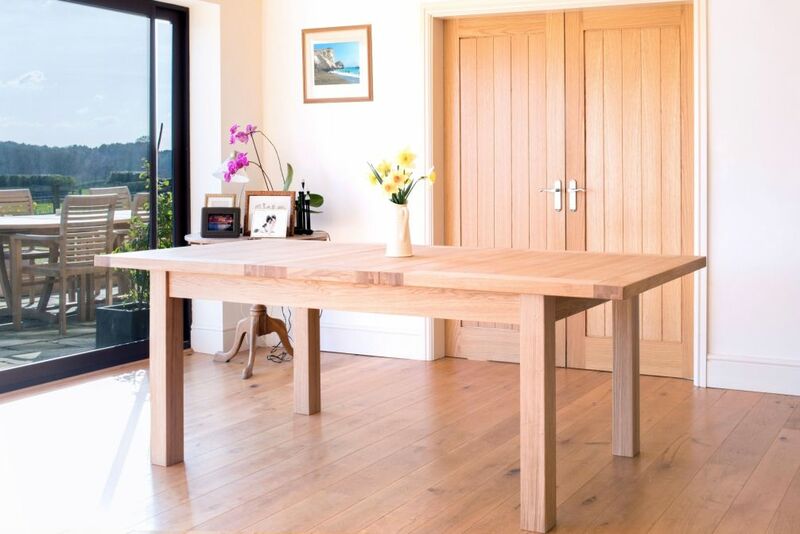 The look and finish of these tables is nothing less than exceptional. Beautiful piece of furniture. We designed and well made. The only slight negative is the weight of it which makes it hard to put the legs on. It will need at least two of you to do that. 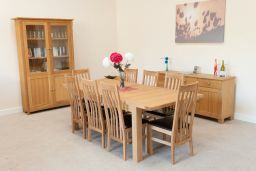 Otherwise what a great table and even comes with some extra finishing oil which is a nice touch. 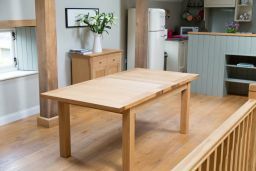 Absolutely delighted with this sturdy beautiful well made solid oak table. Great value for money. 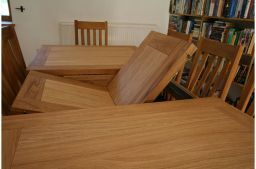 It’s the first time I have purchased such an important piece of furniture online so was very relieved when I saw what a great table it is. 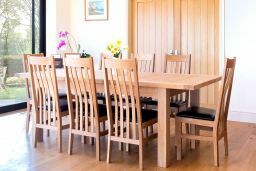 Good quality, lovely and sturdy oak table and dining chairs. Also came with little bottle of oil to treat the wood with. Really pleased with purchase. The table and benches were just what we wanted. Cheerful folk in the showroom. Delivered on time. Good quality and reasonable price. No more to add really. 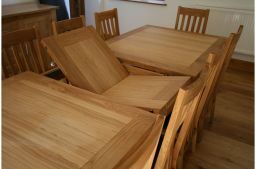 Very good solid oak quality dining table easy to assemble but needs two people to lift onto legs as it is heavy. This is very good value for money compared to similar products in other stores. Looks fantastic when extended which is a simple operation. 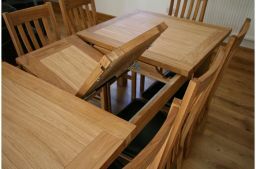 Excellent well made product, definatly the best quality we have looked at.